Time marches on, and so does the progress of the ever expanding Serato Scratch Live repertoire. Now hitting public beta v2.2, this update brings some interesting updates on the effects control front - most notably for the Rane 57, and as wished for in my review, SSL effects control from the Vestax VFX-1. And finally, thanks to new CoreAudio drivers, the SL3 can be used as an audio interface on a Mac. Traktor is an undeniably complex featured filled product, with a total reliance on mashing the keyboard into submission to get the very best from it. So it came as no surprise when NI decided to release their own controller to take much of this keyboard hammering away and return focus to your DJ setup. Chris Cartledge cast his experienced Native eye over the Traktor Kontrol X1 and wrote some words. Knowledge is power. And the difference between thinking you know what the market wants, and actually knowing gives you a competitive edge in a rapidly moving technology driven market. 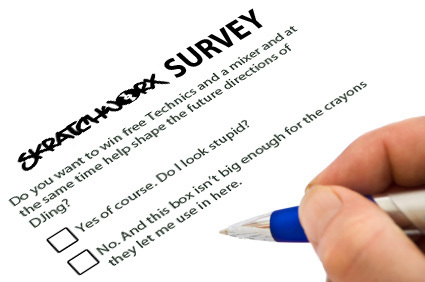 So if you want to help shape the future of DJing, all you need to do is fill in a short survey and you could win a brand new pair of Technics 1210s and an Ecler HAK 360. 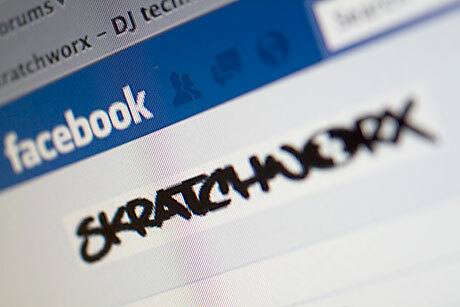 In readiness for the rebuild of the extremely ageing foundation of skratchworx, I'm getting all social media'd up. Having successfully ventured into Twitter, it's the turn of Facebook. I've been on there for ages, but I figure it's time to make an official skratchworx page. And here it is. As DMC moves forward into the future, the IDA world finals also approach. And the Pro X Fade guys are 100% the UK branch of the battle. You need to gather 3 minutes of your finest turntablism into a one shot video and send it in before the 26th November to be considered for the world final in Poland. When the 4MidiLoop info first hit, I described it as "the best controller NI never made". Since then, NI have dropped the S4 (which sits patiently waiting to be deflowered by yours truly). But the 4MidiLoop is now available, and being the good eggs that we are, skratchworx got first dibs on this highly desirable box of buttons and wrote a review. Twice. After establishing itself as a firm favourite with all kinds of DJs, the next generation of Innofader is upon us. 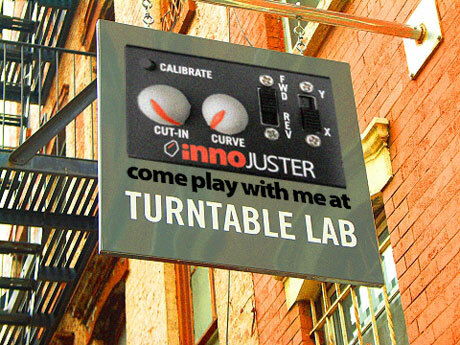 Hellbent on making the Innofader fit into every brand of mixer short of Cuisinart and Kenwood (move away from the blender Elliot), the Innofader Pro and Innojuster are now out there, and Turntable Lab in LA and NYC are more than happy to throw a little party to celebrate - and importantly give you access to these new versions. We all knew it was coming, but when it did, we were all taken a little by surprise - if only because of the wealth of unanswered questions. Yes people - DMC is embracing the digital age and taking the first baby steps though the potential minefield that is DVS usage. Thus I fired off a few questions to DMC towers, and courtesy of the ever helpful Sally McLintock got a few short but sweet answers that should help clear up some of the existing murky issues. Native Instruments' foray in the full on hardware controller is well documented. And so far all the online chatter appears to be extremely positive. But rather than talk about it, there's nothing quite like seeing it in action. Initially, the user generated videos focussed on scratch performance - an area where you might expect a jogwheeled controller to fall flat on its arse (watch this from our very own Philly too). Hell no. But now some official performance videos have surfaced from NI collaborator Ean Golden. Involved in the design process, it's hard to imagine a better person to demo what the Kontrol S4 is capable of.